MR.SHAMBHU SINGH IAS, Manipur, 1986 Shambhu Singh after having worked as a teacher of Economics and in the Indian Revenue Service, joined the Manipur-Tripura Cadre of I.A.S. in the year 1986. He has varied administrative experiences, particularly in insurgency affected areas. Having worked in the Border areas, he understands the complexities involved in Border policing and other related issues. Besides having worked in various capacities in the State, he has served as Joint Development Commissioner for Small Scale Industries, Director and Joint Secretary and Financial Adviser in the Ministry of Science Technology, Government of India. In that capacity, he was also on the negotiating team of India in the United Nations Framework Convention on Climate Change. 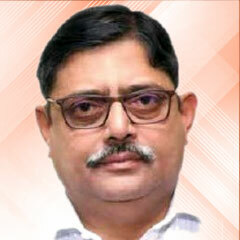 He worked as Joint Secretary in the Ministry of Home Affairs, looking after the North-East. Presently he is serving as Additional Secretary Financial Adviser in Ministry of Road Transport Highways and Shipping. Shri Satinder Pal Singh, Joint Secretary in the Ministry of Shipping was appointed as part-time Official Director on the Board of Directors of Shipping Corporation of India in August 2017. Shri Satinder Pal Singh, an IPS Officer of 1995 batch from Himachal Pradesh cadre is a post graduate in Law from Brunel University, London. Shri Singh also holds a Master’s degree in Police Management from Osmania University, Hyderabad. He has served in senior positions in the State Government of Himachal Pradesh including Inspector General of Police and Special Secretary in the Department of Home. 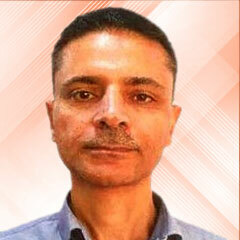 Prior to his present posting as Joint Secretary in the Ministry, Shri Singh has served as Director in the Ministry of Housing and Urban Affairs.